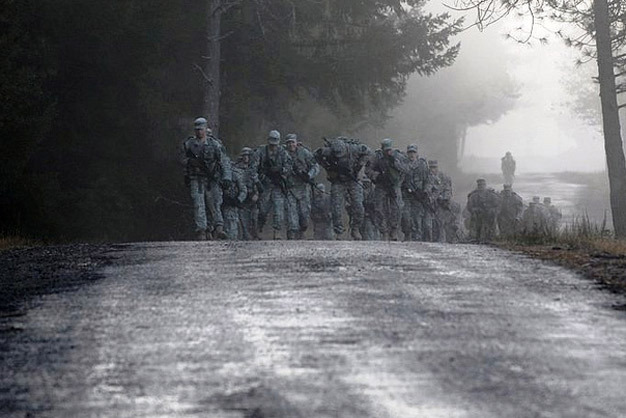 Soldiers with 1-14 Cavalry Warhorse, Headquarters Troop march through the morning dusk as part of their 15 mile air assault road march. Photo taken by Staff Sgt. Joshua Brandenburg, 3rd Stryker Brigade, 2nd Infantry Division Public Affairs.